Imperial College hosted EAVI2020 ‘s kick-off meeting in London on Thursday 26th November 2015. 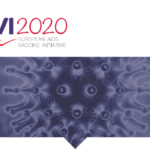 Representatives from the project’s partner institutions travelled to London to attend the kick-off meeting of this exciting new initiative, which aims to develop HIV vaccine candidates that can be taken to human trials within five years. 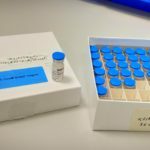 Some of the world’s best experts in the field of vaccine design and delivery gathered to discuss the first steps to start the new HIV vaccine development. Prof Robin Shattock, Imperial College, pointed out that “our approach to accelerate HIV vaccine concepts is unique. This is a flagship project for HIV vaccine research”. Please follow our most recent news and developments in our Twitter and Facebook accounts.